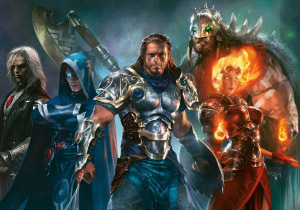 Magic: The Gathering is a collectible card game of strategy, skill, cool cards and dueling wizards. As a player, you have to use your cards to fight battles with orcs, elves, dragons, serpents, etc. to see who is the strongest wizard. This is the grandfather of the collectible card game (or CCG) genre. The original concept of the game was derived from traditional fantasy role-playing games, the gameplay of Magic: The Gathering has little similarity to pencil-and-paper adventure games. This comes because of the many cards and the more complex rules than many other card games. 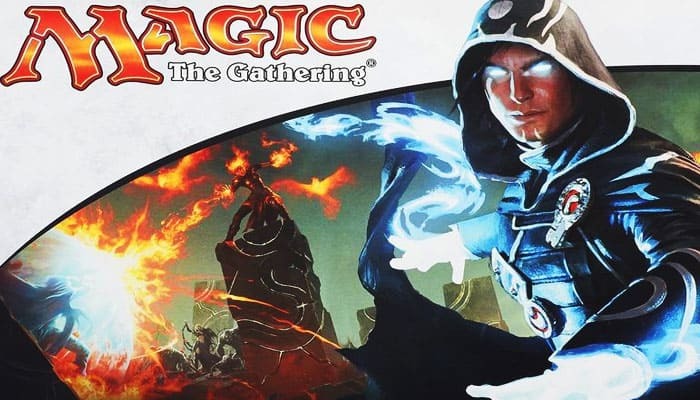 Every game represents a battle between wizards (planeswalkers), who can employ spells or artifacts and creatures depicted on individual Magic cards. The game can be played by two or more players in various formats. Usually you use a deck of minimum 60 cards. There exist over 170000 different Magic cards and they all have strange powers and can change the way the game is played. As a player, you have to balance out your cards and think about combos to win your opponent. The first player to reduce his opponents to 0 life wins the game. But you can also set another win condition if you want. Land - Give you magical energy (Mana) to power your other cards. 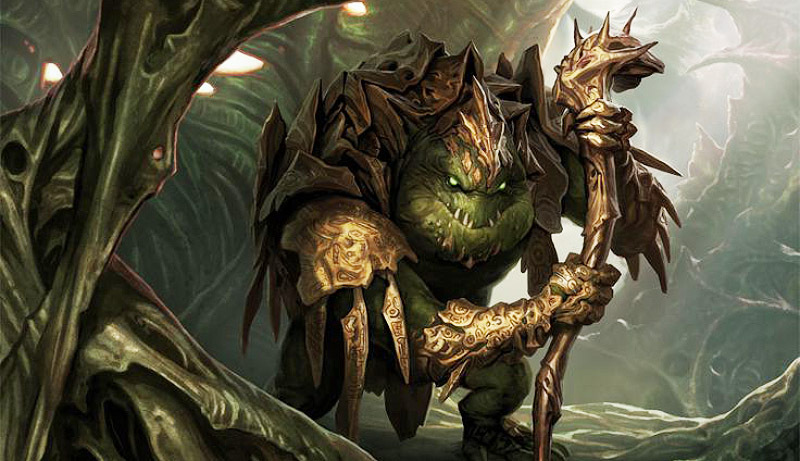 Creatures, Ogres, trolls and dragons - Use these beasts to battle your enemy. Sorceries, Instants and Interrupts - One-shot effects. Enchantments and Artifacts - Long-lasting power-ups. Equipment - Magical weapons and armor to power-up your beasts. The players draw spells at random to see what they get and can play each turn. This maybe limits the options, but there is still a lot of strategy in how you play those spells. On most basic level, a player on his turn must draw a new card, play one land card if he has one, and then cast spell cards from his hand. Those spells have a condition. To play them, the symbols in the upper right tell you what you need to have. Magic: The Gathering is a game of discovery and testing. You have to put a bunch of cards to together and see how they work together. You might have to make tweaks to balance your deck. On regular basis, new cards are released through expansion sets. And different cards offer different strategies and better decks. The magic cards are categorized as common, uncommon, rare, and mythic rare. There exist also a secondary market for Magic cards. 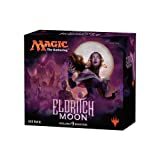 You can buy or trade magic cards here. 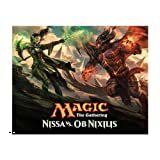 Certain mythic rare cards can be valuable over 1000 dollars. MTG is traditional a 2 player game, but there exist formats (often played at tournaments) that allow more players to play. There are approximately 20 million players at the moment. Magic: The Gathering was created by Richard Garfield and first published in 1993 by Wizards of the Coast. The first version (the "Alpha" set) consisted of 295 cards. Reduce your opponent's life total to 0 before your opponent does the same to you! 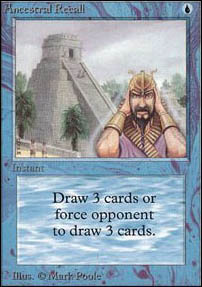 You also win if your opponent has to draw a card when none are left in his or her library. You start the game with 20 life. Artifacts are colorless permanents that represent magical objects. You can play artifacts only during your main phases when the stack is empty. (You'll learn about phases and the stack later). 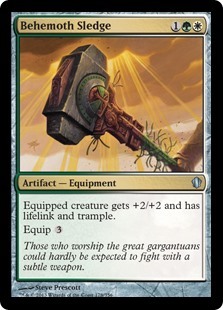 A card with "Artifact - Equipment" on its type line represents a weapon, armor, or other item your creatures can use. Creatures with defender can't attack. They make excellent blockers and usually have high toughness. A creature with fear can't be blocked except by artifact creatures and/or black creatures. Fear only matters when the creature with the ability is attacking.